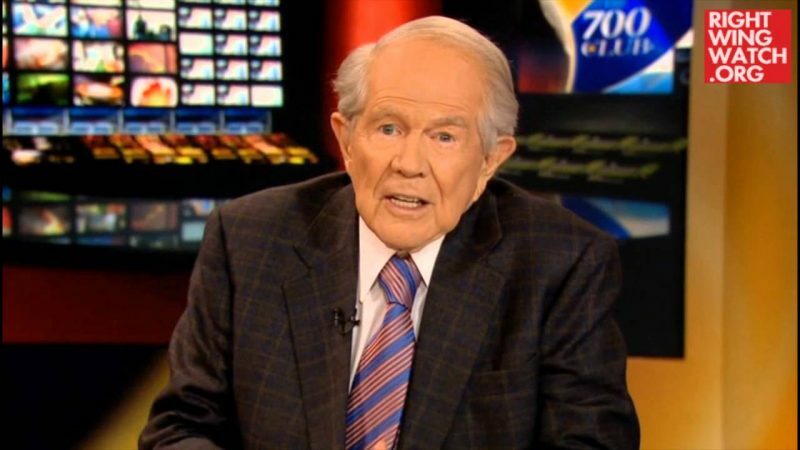 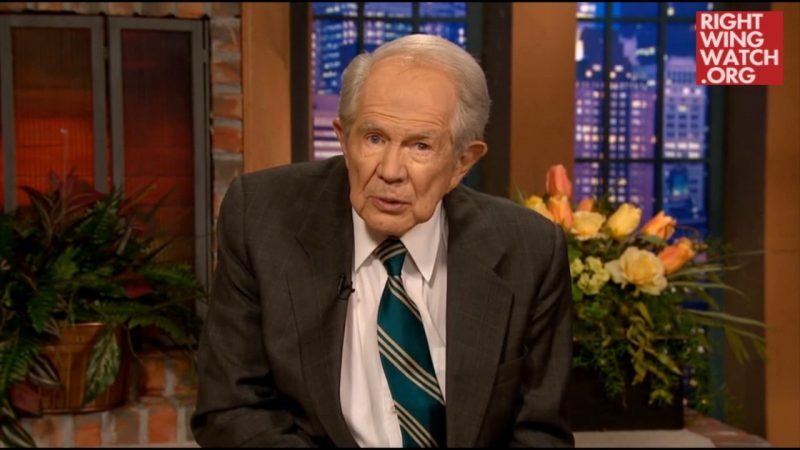 Televangelist and Religious Right leader Pat Robertson asserted on his “700 Club” program today that a recent string of sexual harassment allegations involving Fox News personalities are “totally bogus” and the result of some nefarious conspiracy to destroy the network. 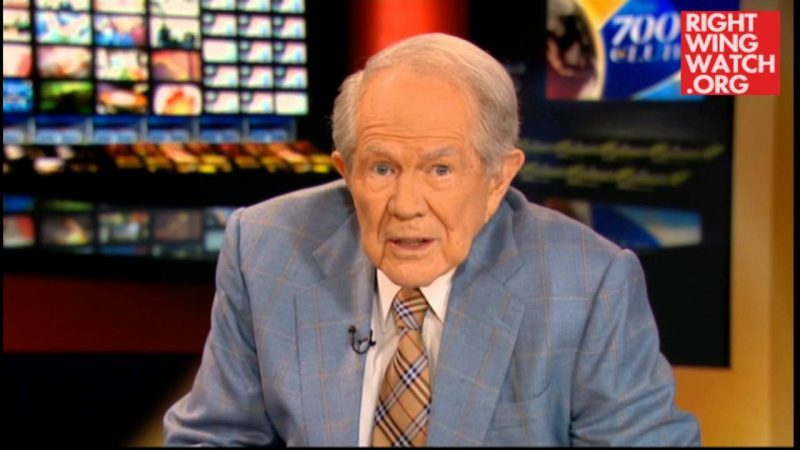 Robertson was reacting to reports that Fox News host Eric Bolling has been suspended amid an investigation into allegations that he had sent lewd photos to several female colleagues, which followed harassment allegations against the network’s late CEO Roger Ailes and popular host Bill O’Reilly, among others. 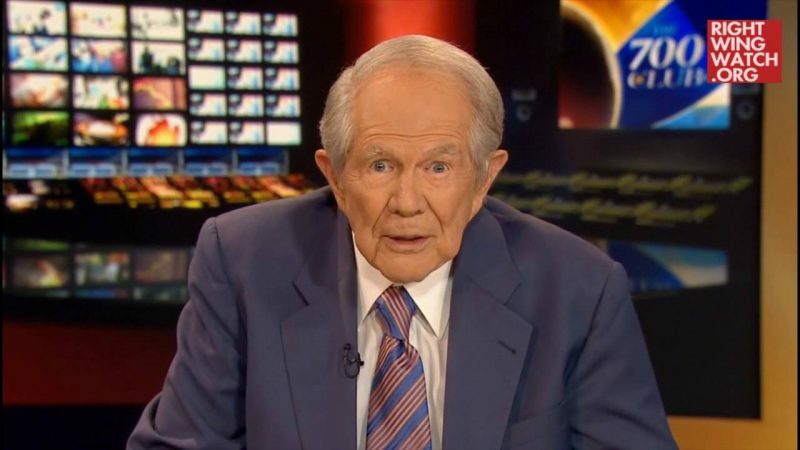 As Robertson sees it, some unnamed people have probably been sending “salacious material” to women and framing Fox News hosts in order to decimate the network’s primetime lineup.